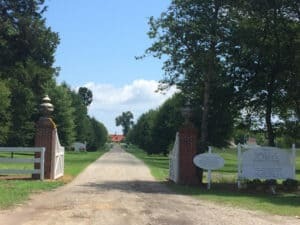 At Sotterley, you might see a family enjoying a tour of the manor house, a bride getting ready for her wedding the next day, a family pouring libations down by the slave cabin in honor of their enslaved ancestors, school children on a field trip, someone walking through the gardens…. This is the Sotterley Community, and you are welcome to join us. 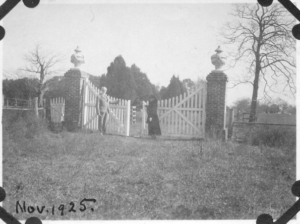 By 1953, the last private owner, Mabel Satterlee Ingalls, had opened the site to the public in partnership with the Society for the Preservation of Maryland Antiquities. In 1961, she recognized the public’s interest in the Manor House, deeded the property to Sotterley Mansion Foundation, and created a Board of Trustees to help direct policy and management. This was a new direction for Sotterley – to share this beautiful place and all of its history with the public and use it for children’s education. Mrs. Ingalls continued working on development to accommodate the public and education for the rest of her life. Her death in 1993 presented a major challenge to the continuance of the Foundation which had no established endowment, limited revenue and mounting restoration needs. In 1996, the National Trust for Historic Preservation designated Sotterley as One of America’s Most Endangered Historic Sites. Research confirmed the significance of this resource and in February 2000 it was designated a National Historic Landmark. Today, Historic Sotterley, Inc., a 501(c)(3) charity, continues its vision to preserve the historic and natural environment and to bring the stories of Sotterley to life, connecting relevance to our lives today. These gates have been welcoming the family, friends and visitors to Sotterley for over 100 years.